Note: Prior to previous advice, DO NOT delete or overwrite existing entries, please leave these. [Description] – type in your description for the term. Adding the Year will make it easier to find later. 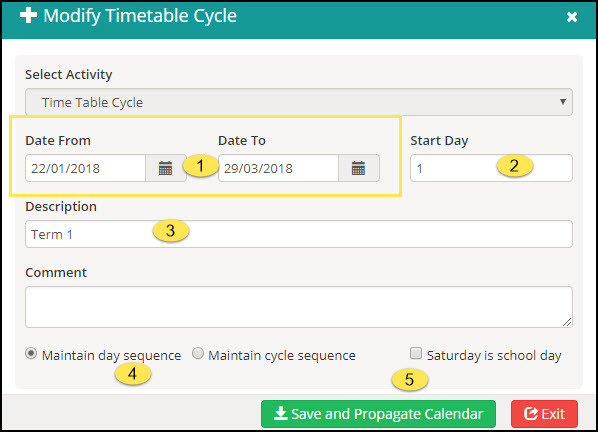 Select the option that suits your school based on how you run your timetable days. [Save and Propagate Calendar] to update the changes. Optional: Some schools use phases in the Timetable, these can be entered now if known or at a later date. 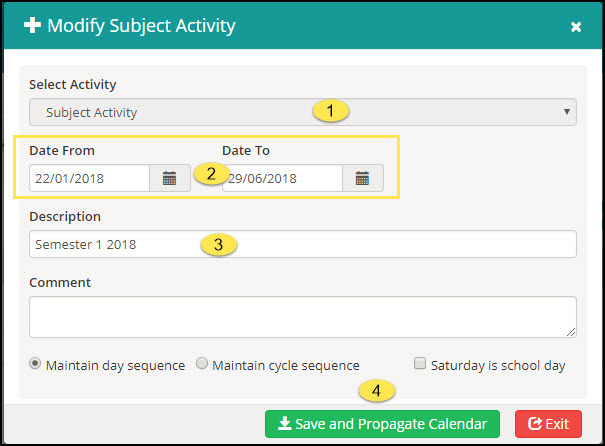 Absences and rolls will not be recorded within the date ranges entered. You do not need to enter weekends but must enter all public holidays and any Student free days. If you are not using the Timetable, holiday dates must still be entered otherwise your absences will not calculate correctly. 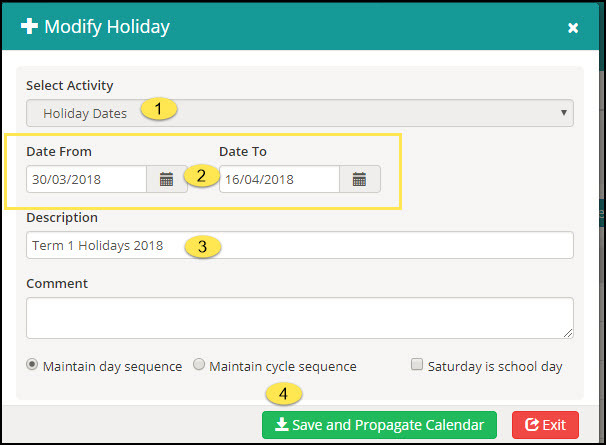 You do not need to add an individual holiday if it falls within the range of another holiday or on a weekend unless you wish it to appear on the calendar. Work thru and add all your holiday dates. At the end of this process, ALL calendar days should be accounted for. If you use Special Days, create as above but select [Special Day]. Special days are days where the entire school may be at a carnival so timetable based rolls do not apply. On a special day, you are only required to mark the form class roll and all other rolls will be flagged as marked.